7 Ways to Enjoy Clean Eating this Summer! My family and I are going to be spending lots of time outdoors enjoying the sun and going on adventures! 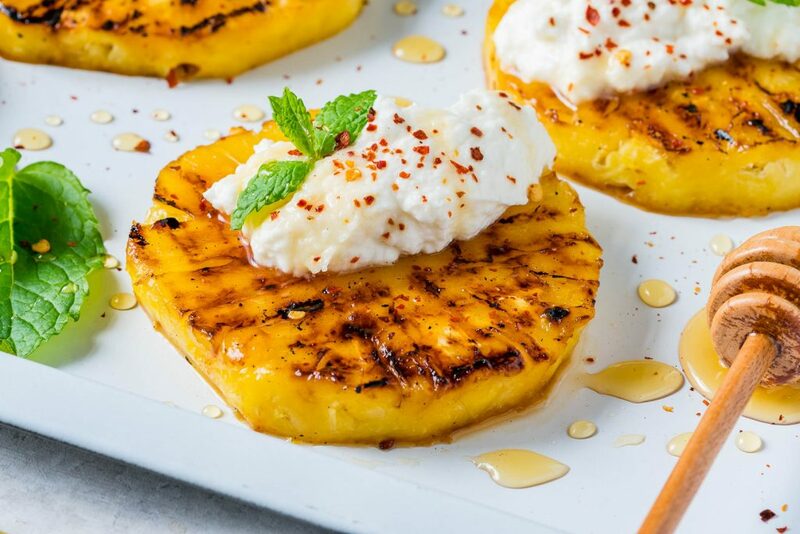 I want you to have everything you need to stick to your Clean Eating goals for the summer, so below are 7 ways to enjoy Clean Eating whether you’re hosting a party or heading to a BBQ. 1. 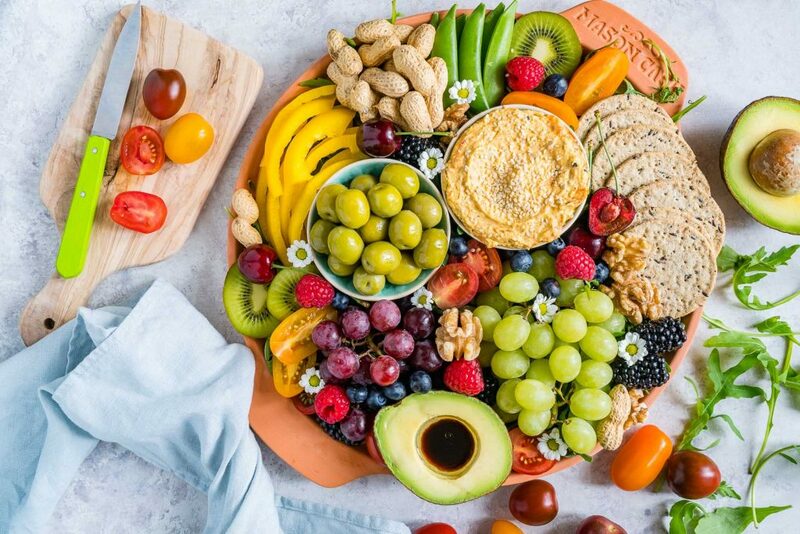 Create a Gorgeous Summer Platter for Your Guests! Inspire everyone with an array of fresh and vibrant fruits, veggies, nuts, seeds, dips and sliced meats. Delight in variety and impress your guests by making it your own. Here are the ingredients I used in my platter above so you can get some creative ideas! 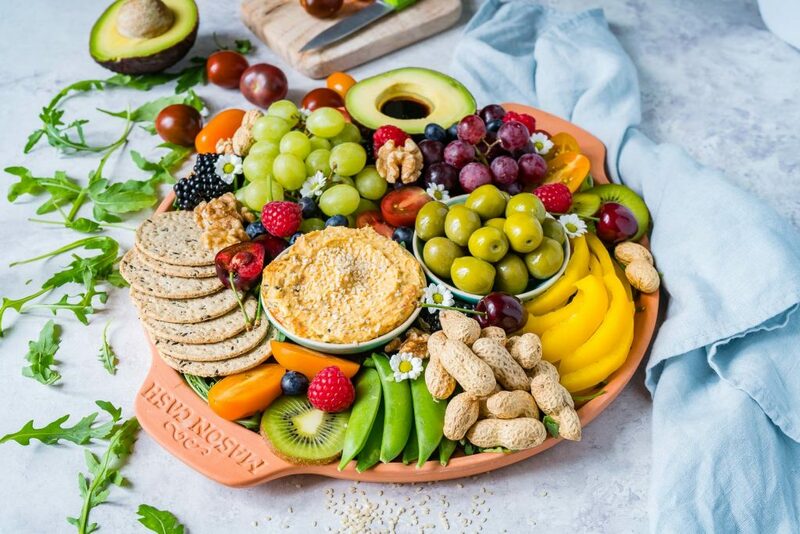 This Black Walnut Serving Platter found on Amazon or this Hand-Woven Tray both present beautifully for Clean Eating party platters this summer. 2. Have a Fruity Brunch Party with Friends! Hot summer mornings are PERFECT for hosting weekend brunch parties. 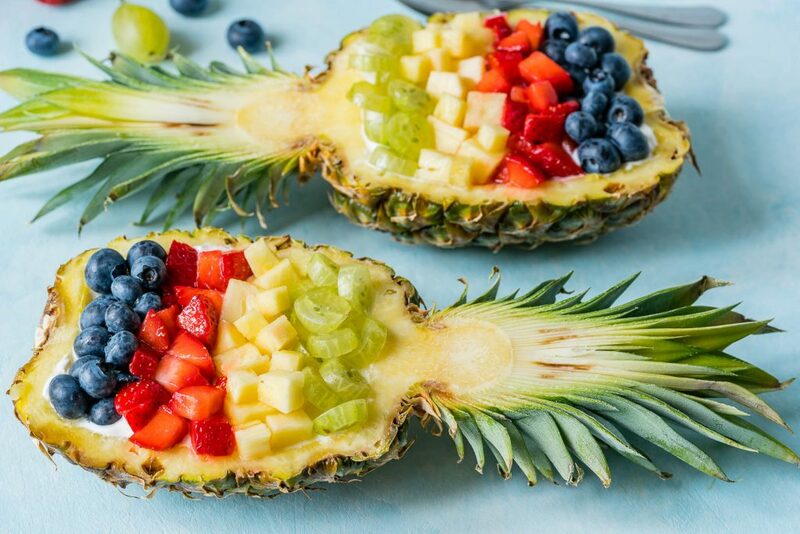 Clean Eating recipes like these Pineapple Breakfast Bowls are a beautiful way to dazzle your guests and enjoy a light, energizing meal together. 4. 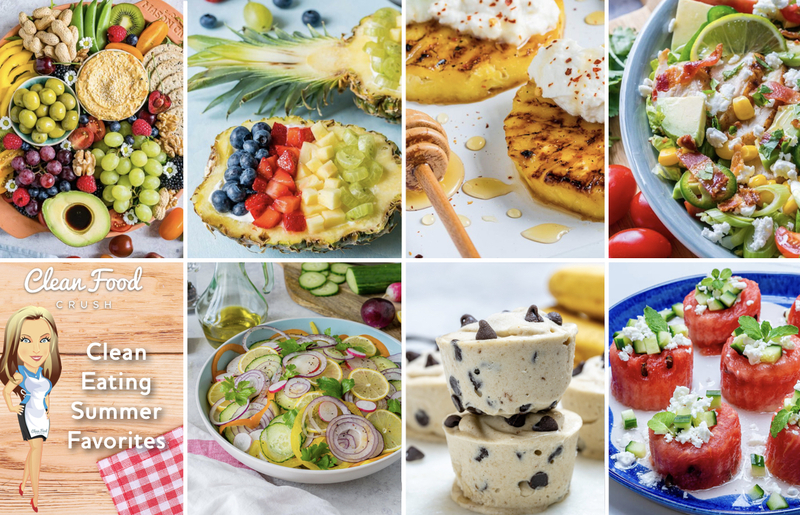 Celebrate with Big, Flavor Bursting Salads! 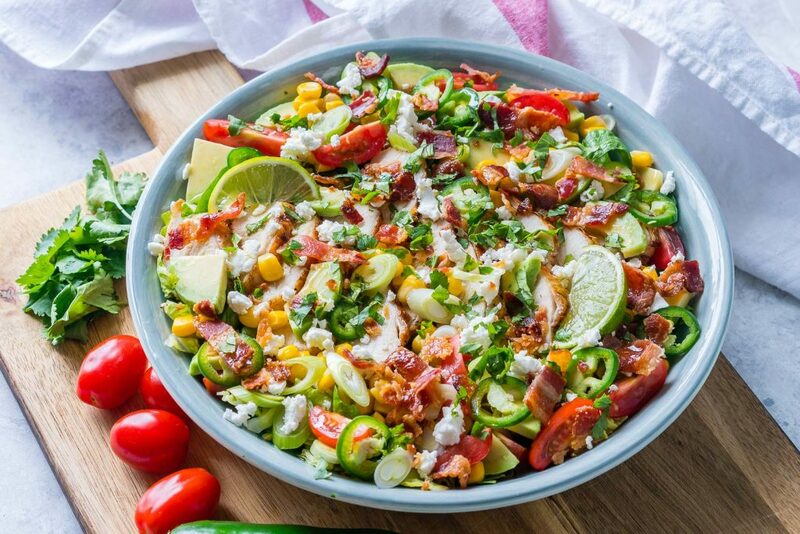 No one will miss fast food when you bring this EPIC loaded Southwest Chicken Salad + Homemade Honey Lime Dressing to the backyard BBQ or picnic. 5. Eat More Detox Foods! 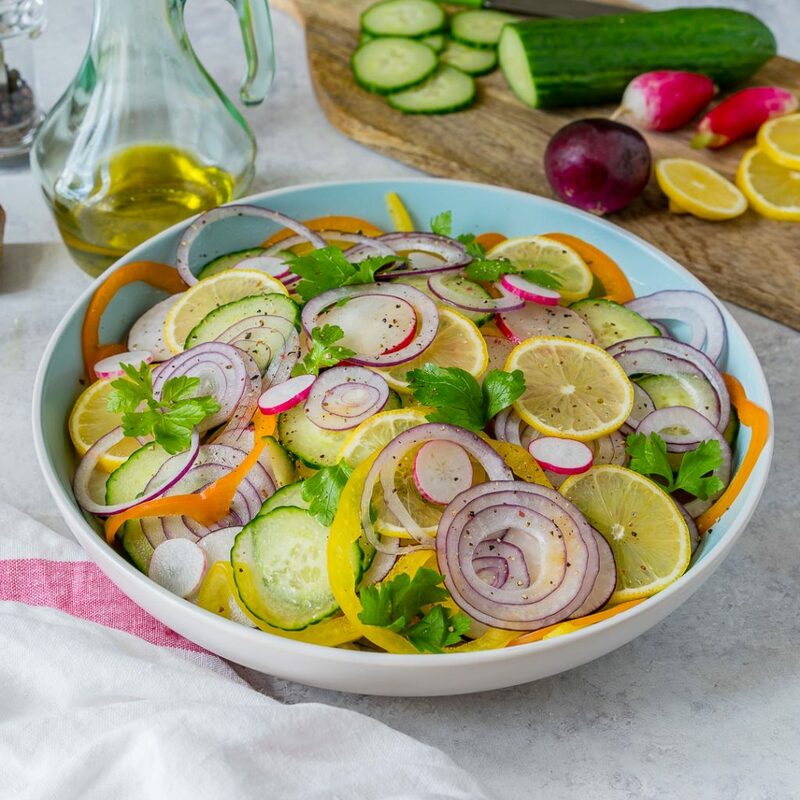 This Sliced Summer Detox Salad is your go-to for a hot summer day at the beach. It’s light, hydrating and cooling all at the same time. Get the perfect slices using this Mandoline I found on Amazon. 6. Make Your Favorite Treats with the Kiddos! Remember how exciting summer treats were when we were kids? I absolutely LOVE coming up with Clean Eating summer treat recipes I can make with the kids! 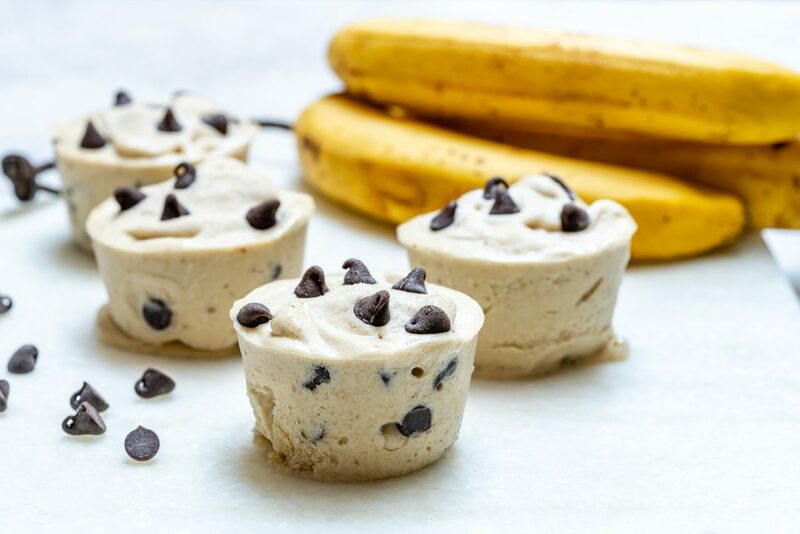 These Chocolate Chip Banana Ice Cream Cups are sure to become memorable favorites for years to come. I love that we can enjoy them together and be proud of what we’re putting in our bodies. 7. Emphasize HYDRATING foods this Summer! Lowering your inflammation and hydrating your body with foods like cucumber and melon will help you slim down and boost your energy levels. 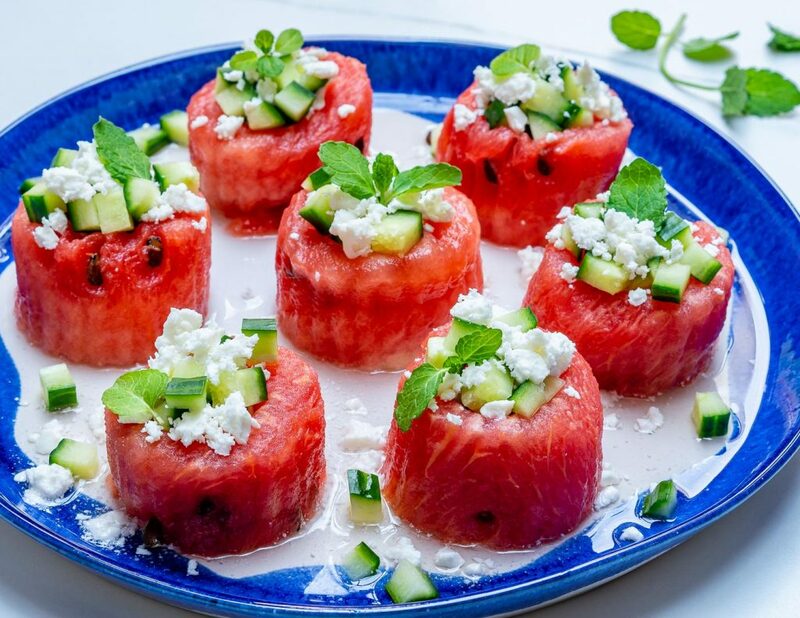 Clean Eating recipes like these Watermelon + Feta Cucumber Cups are SUPER fun to bring to BBQ’s and picnics. They’re easy to make and a unique contribution to the party! Looking to Slim Down for Summer? Here are 7 Clean Eating Tips for Your Summer Weight Loss Count Down. Remember, if you need support – we’ve got you covered. 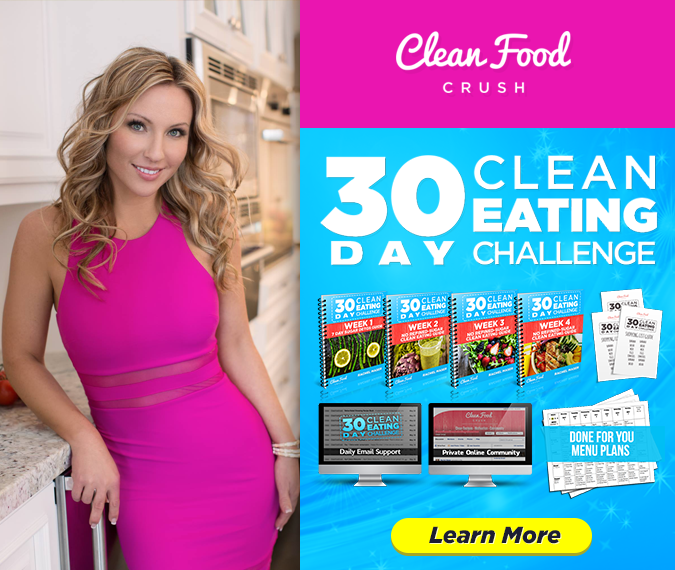 The 30 Day Clean Eating Challenge is running through the summer to help you stay accountable and lose weight!